The past few weeks have seen our region hit by serious bushfires and intense storm cells. Woolooga, in the north east of the electorate, saw bushfires rage through 10,000 hectares, and threaten the township and school. In the Somerset, more than 80 residents living on rural properties in the Toogoolawah, Mt Beppo and Cressbrook districts saw 3000 hectares burnt, sadly destroying one home, several sheds and vehicles. I would really like to thank the emergency service crews whose superhuman efforts helped to get the fires under control and save lives, property and wildlife. From the extreme dry and fires, we saw the devastation of two storm cells which tore across the South Burnett and western Gympie region. Last week I visited the township of Tansey to inspect the damage from the tornado and hear from locals about the terrifying event. 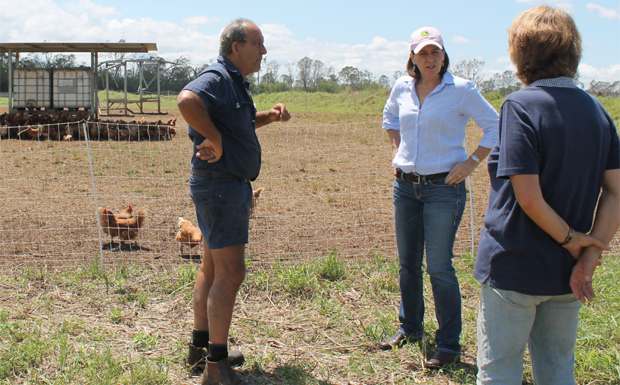 I also spent time at Coolabunia and Kumbia the day after the storms and it was devastating to see the damage which had been done. The South Burnett and Gympie Council areas have now been declared as Category B under the Natural Relief and Recovery Arrangements, and you can find out more by heading to the Disaster Assist website. If you are a primary producer and need help with the clean-up, Blaze Aid have set up a base near Woolooga and have also established a base in Kingaroy. If there’s any silver living, the storms have brought decent rains to many of the areas affected by fire, and pastures are turning green again. We are also seeing dams nearly full in some places and a good flow in our creeks. My heart goes out to everyone affected by these disasters, but I know our community is resilient and I know we will recover. I have been a huge fan of the Maclagan Squeezebox Festival since I first attended in 2012. From that first visit, it was obvious this was very special event that meant a great deal to the Maclagan community, which is in the south-west of my electorate. On Saturday, October 13, the Maclagan Hall was full of the sounds of the squeezebox and a very happy crowd despite the wet weather. The community spirit of this small country town is obvious and I commend the organisers for their vision, passion and commitment to the joy of the ‘squeezebox’ and the love of music. I’d also like to congratulate Joan van Kuijck who compiled a wonderful anthology about the Festival, and to everyone who contributed by sharing their stories and photos. It is so important to document and preserve the history of our communities and this book will do just that. 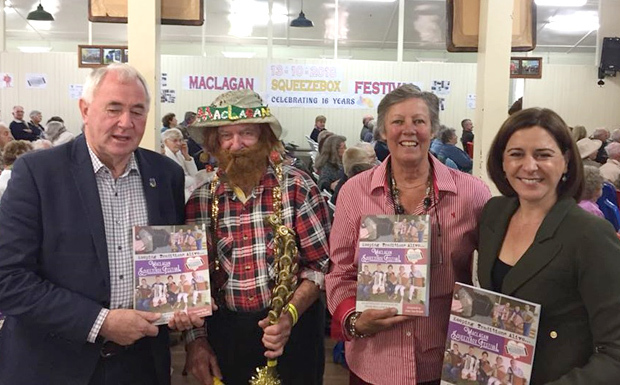 I believe the Maclagan Squeezebox Festival truly embodies what our small rural communities are all about – resilience, friendship, and having as much fun as possible! 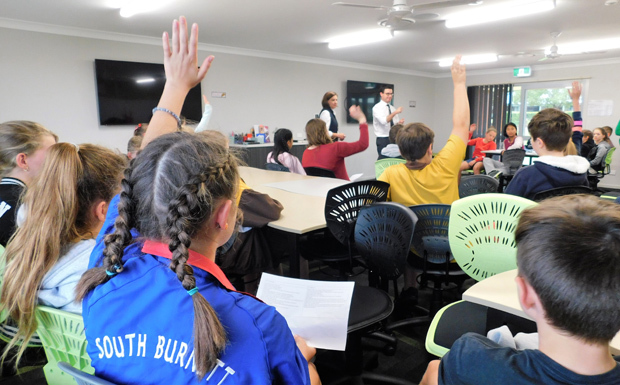 On October 12 I had the privilege of speaking with the Year 6 class at St John’s Lutheran School about the three levels of Government we have here in Australia. 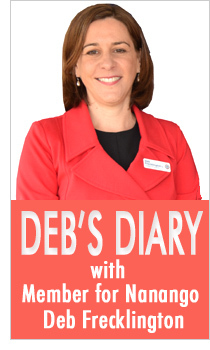 Joining me was the Federal Member for Maranoa, David Littleproud and together we discussed how government works, how to influence change and what life is like as a politician. The students were fantastic and kept us on our toes with heaps of questions in preparation for their school trip to Canberra.